In a stunning turn of events in favor of the Standing Rock Sioux Tribe, a federal judge ruled Wednesday certain aspects of the approval of the Dakota Access Pipeline – which now crosses under the Missouri River’s Lake Oahe reservoir, source of the Tribe’s drinking water – violated the law. ‘This decision marks an important turning point. 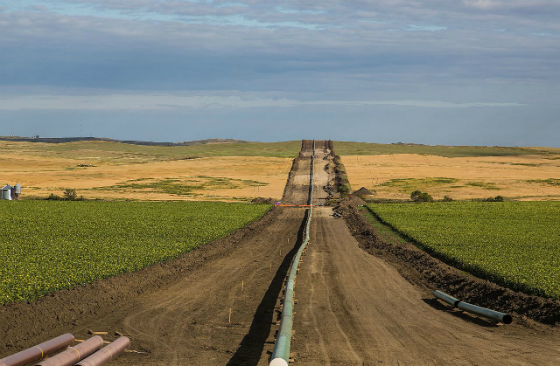 Until now, the rights of the Standing Rock Sioux Tribe have been disregarded by the builders of the Dakota Access Pipeline and the Trump administration – prompting a well-deserved global outcry,’ stated Jan Hasselman, Earthjustice attorney and lead counsel in the lawsuit. Left undetermined in the ruling is whether pipeline operations must be shut down – but the judge requested additional briefing and a status conference is slated to take place next week. Earthjustice filed a lawsuit February 14 – after final approval swiftly came with the entre of President Trump and his administration – contending the U. S. Army Corps of Engineers issued a permit allowing Energy Transfer Partners to construct Dakota Access near tribal boundaries and through Native American ancestral lands in violation of several environmental laws. This post was published at The Daily Sheeple on JUNE 15, 2017.